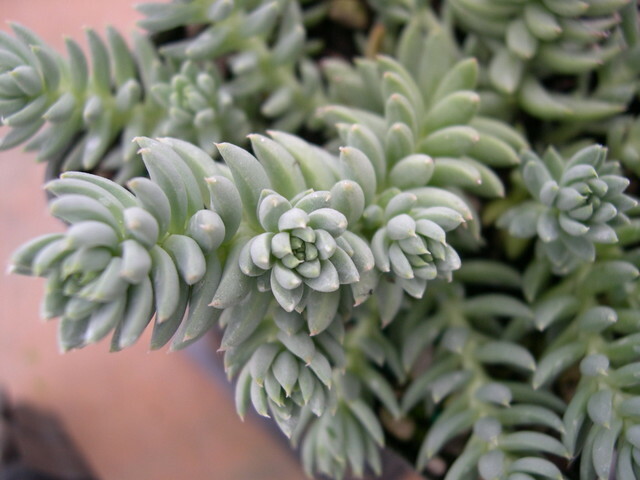 Upright stems with glaucus blue-green succulent foliage grow to about 10 inches (25cm) tall. Flower stalks can grow as high as 20 inches (50cm) tall and are topped whitish flowers. Comes from northern Africa and southern Europe.